Barcelona have not lost at home in the Champions League since 2013 but Solskjaer feels they can approach the second leg with optimism. "There are pluses and negatives. I thought we started sloppy," he told BT Sport. "After their goal we settled, we played well, we had some very good performances from some individuals in midfield. "At times it felt like a proper Manchester United team, the crowd was behind us. "We're still in this tie. We go there (to Barcelona) with work to be done. We'll go there with the knowledge we can score." Chris Smalling expressed disappointment that United could not pull a goal back, having settled after falling behind. "We had a little spell in the first half where we went after them but then we started to look a little bit nervy. "I think from half-time we got at them, really pressed them and to be honest we caused them so many problems." 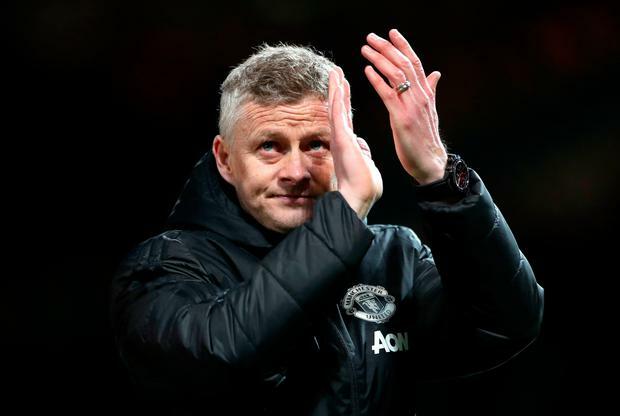 Scott McTominay impressed in midfield for United and believes Ole Gunnar Solskjaer's side can still turn the tie around in Barcelona. "I thought in the first 10-15 minutes we showed them far too much respect," he told BT Sport. "After that we adapted really well and started to take control of the game and looked the better side. "We're Manchester United, you can never write us off. "They've got some top-class players but so do we and we're going to showcase that in the second leg at the Nou Camp."